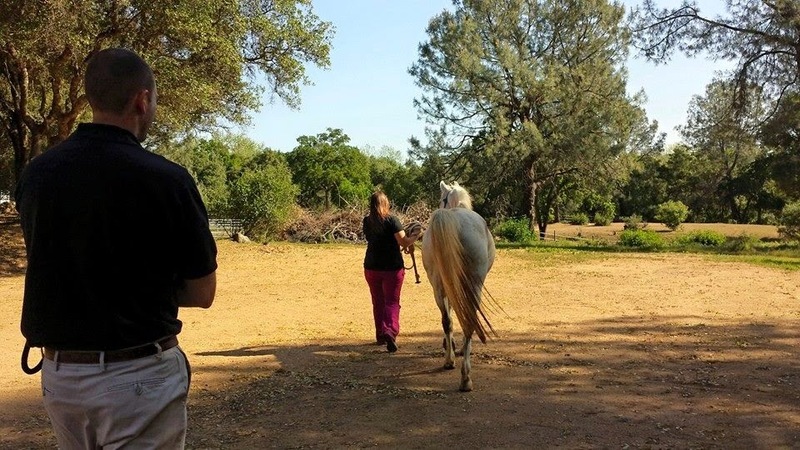 First I must say that as a consumer, I had a great experience at Loomis Basin Equine, particularly with Dr. Langdon Fielding. Information exchange was thorough, clear and continuous and Scrappy was well handled. Plus it was fun to chat here and there between times about Rushcreeks and endurance! As to the results..not great. We went in chasing the back soreness that Scrappy has exhibited after “higher” mileage (30+ miles) since after the LD I did the week after I bought him, almost 2 years ago now. We’ve played with saddles, chiro, acupuncture, horse carriage, rider’s riding, a few months rest..finally I surrendered to utter science. For reference, Scrappy was last ridden at Mojave 50 a month and a half ago. 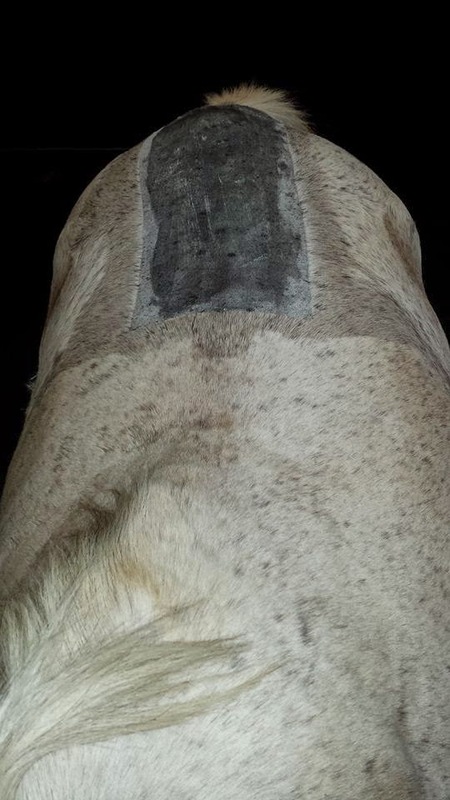 We started with a lameness/flexion exam (sound!). Dr. Fielding did some hands on and found Scrap to be (a bit inconsistently) responsive to palpation of his midline lumbar. Next we x rayed the area of the back (nothing egregious on x-ray), and finally we ultra sounded. Sure enough, in the very spot the soreness shows up, about where my seat bones would be when riding, we found a compromised ligament. It was clear as day on the ultra sound, the smooth stretch of ligaments in one pictured area, and the disrupted and “spotty” looking injured area. Because the ligaments don’t heal completely cleanly on ultrasounds always anyway, it’s pretty hard to determine the timing of the initial issue, but I’ve been dealing with it right along and it’s “active,” as in exacerbated…no doubt that last damn 50. The caveat? 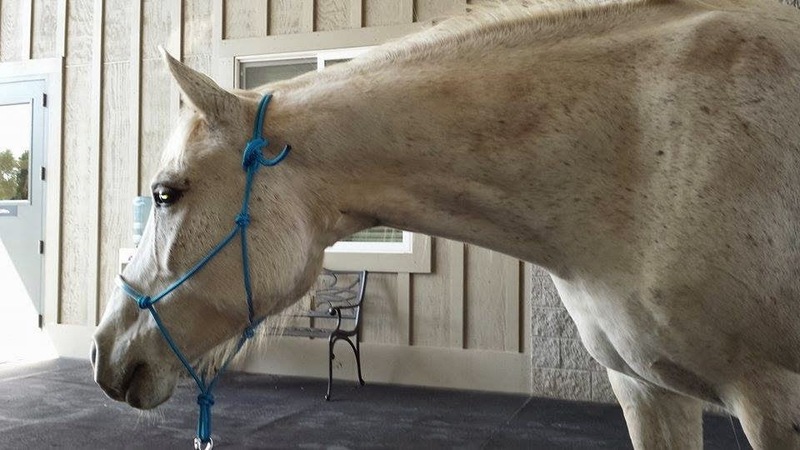 Scrappy’s downhill-from-the-croup conformation is a serious PITA not just for saddle fit, but for the long term healing/performance of that compromised area. I don’t really know what else to say at the moment..I’m properly gutted that after doing my best with my teenage mare and finally retiring her, I’ve spent another 2 years investing my heart and soul into a wonderful creature– who most likely was hurting right along, to some degree, whether he showed it or not. There’s certainly support for the first two recommended protocols as far as theoretical healing, but all things considered…wow. Back home, Scrappy says he likes hanging out with fillies better than endurance anyway..
Bummer Aurora… I was rooting for something easier to heal. Damn, I'm sorry. Glad you have a diagnosis, but disappointing results. 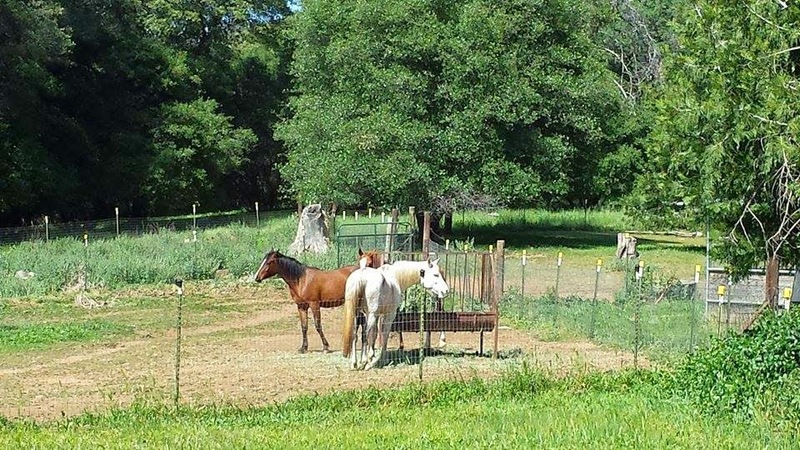 You have always done right by your horses, I wish you'd catch a break! So sorry to hear this. I prayvwith time that he heals. :(. So sorry aurora. I was hoping for better news. Im so glad you got him checked out by a vet. You've inspired me to learn about ligament injuries. I am one of Scrappy's biggest fans and next time I'm in CA I'd love to take a ride on him. I sincerely hope he can recover, and I am stopping all these thoughts such as, “Oh try this, try this..” because I'm desperate for him to work for you, but you are doing the right thing. I wish you didn't feel guilty though, because I know you tried everything. But feeling guilty is part of our role as conscientious riders, *sigh* and I know you are pragmatic. Because my blog is temporarily private, I'd like to invite you to read it if you like, during this time. My email is eli underscore barnett at hotmail. Um, is that Rory looking adult in your latest photo? Yes, Rory is looking scarily adult, she's as big as Scrappy and not even 2..!! Thank you. I emailed you.